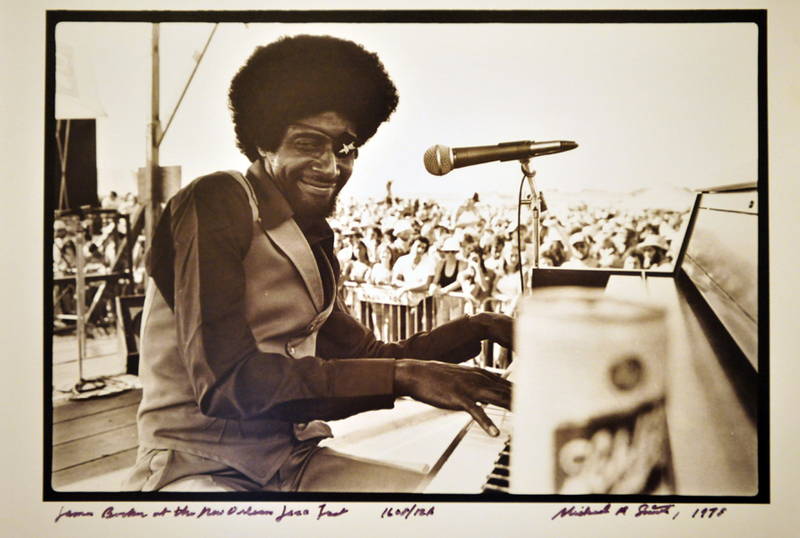 James Carroll Booker III was a distinctive New Orleans pianist who mixed gospel, boogie-woogie, blues, traditional and modern jazz, and classical music into a unique and breathtaking sound. James Carroll Booker III was a distinctive New Orleans pianist who mixed gospel, boogie-woogie, blues, traditional and modern jazz, and classical music into a unique and breathtaking sound. 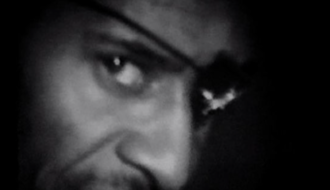 Known as the “Piano Prince of New Orleans,” the eye-patch-wearing, flamboyantly dressed entertainer who walked with a limp from a childhood injury was among the most colorful characters in the Crescent City during his lifetime. At the age of ten, Booker was given morphine after being struck by a speeding ambulance and from then on suffered from mental health disorders and drug addictions. The life of one of the city’s most gifted musicians ended tragically when he overdosed on cocaine at age forty-three. Booker was born on December 17, 1939, in New Orleans. A child prodigy, he was the son of a piano-playing Baptist minister and had extensive classical training, mastering works by Frédéric Chopin and Johann Sebastian Bach in his early teens. No recordings of his “straight” classical interpretations have surfaced, but Booker’s adaptations of Chopin (“Black Minute Waltz”) and Ernesto Lecuona (“Malaguena” and “Gitanerias”) still circulate. As a teenager, Booker attended Xavier Preparatory School, where he put together his first band, Booker Boy and the Rhythmaires, which also included classmate Art Neville. Booker’s sister, Betty Jean, performed regularly as a gospel singer on the New Orleans radio station WMRY, and it was during his visits to the studio with her that the station manager took notice of the young man’s prowess at the piano and put Booker on the air as well. He played on the jazz and blues show, but he would occasionally break into complicated compositions by Bach and Sergei Rachmaninoff. The broadcasts were heard by producer Dave Bartholomew, who invited Booker to the Imperial Records studio; there they recorded the single, “Doing the Hambone.” Booker was fourteen years old and the youngest musician to ever record on the label. Paul Gayten of Chess Records also took notice and recorded Booker and Neville with the single “Heavenly Angel,” but neither recording received much fanfare. In 1960 Booker enrolled at Southern University in Baton Rouge, but his drug habit followed him; he left school and returned to the music business, in large part to supply his drug habit. He recorded the organ-driven single “Gonzo,” named for a character in the 1960 film The Pusher, which hit the charts for eleven weeks, peaking at number forty-three. For most of his adult life, Booker made his living as a sideman behind a wide range of musicians: Joe Tex, Aretha Franklin, Fats Domino, Maria Muldaur, Ringo Starr, the Doobie Brothers, and “Mac” Rebennack—better known as Dr. John—among many others. Dr. John once highlighted Booker’s singular talents by describing him as “the best black, gay, one-eyed junkie piano genius New Orleans has ever produced,” but even he had to fire Booker after the piano man’s drug addictions and erratic behavior became too much to handle. In 1970 Booker was arrested for possession of heroin outside of New Orleans’s famed Dew Drop Inn and was sentenced to serve two years at the Louisiana State Penitentiary at Angola. During his incarceration, he worked in the prison’s library and developed a musical program for inmates. His good behavior paid off: after six months behind bars, he was granted parole. Upon his release, he returned to New Orleans, where he found that the music scene had hit a slump. Seeking gigs, he violated his parole by leaving the state. Eventually the charges for his parole violation were dropped, and Booker returned to Louisiana in 1975 after stints around the United States. 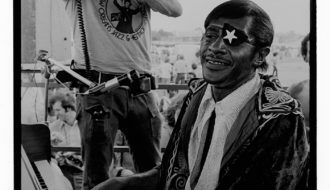 He appeared at that year’s New Orleans Jazz & Heritage Festival and once again caught the attention of studio scouts, perhaps as much for his outlandish cape, gold-starred eye patch, and wig as for his piano style. Booker went on to tour Europe at various music festivals and enjoyed the status of a celebrity among aficionados of New Orleans music. He released five albums during his lifetime, all initially issued by European labels. Among these releases, Junco Partner (1976), New Orleans Piano Wizard: Live! (1977), and two 1976 recordings, Blues and Ragtime from New Orleans and Piano Prince from New Orleans, find him at his very best. A dozen or so albums of varying audio quality have appeared posthumously. Around 1978 Booker stopped going on the road and began two gigs that became legendary for their length, brilliance, and erratic nature. His Tuesday night shows at the Maple Leaf Bar in the Carrollton neighborhood of New Orleans yielded two posthumous albums on Rounder Records, which are full of ranting, hellacious singing, and torrential playing despite the creaky upright piano. Booker also played regularly at the Toulouse Theater in the French Quarter as the intermission and after-show pianist for the One Mo’ Time show, the only locally produced New Orleans theater piece that went on tour to international acclaim. There are no official recordings of Booker from the Toulouse Theater, but dozens of hours of bootleg tapes have surfaced. Booker’s main influences included Ray Charles (particularly his highly emotive and bluesy vocals), Fats Domino, and—for personal flamboyance—Liberace. 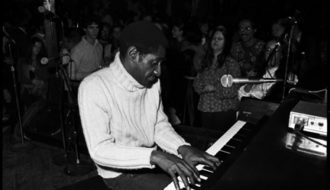 Unlike most pianists who came after Professor Longhair, Booker’s playing showed no Caribbean inflection. Instead he developed new variations on the basic boogie-woogie left-hand patterns, inventing at least a half-dozen such modes. The most prominent of Booker’s acolytes is Harry Connick Jr., whom he tutored during Connick’s childhood. 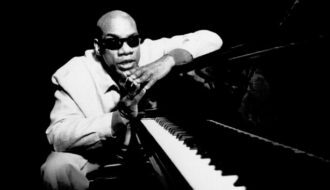 Connick—who describes Booker’s style of playing as “spiders on the keys”—can incorporate many of his mentor’s innovations to an astonishing degree and has paid tribute to Booker in songs and performances. Other disciples include Dr. John (who learned organ from Booker and adopted some of his teacher’s “butterfly stride” mannerisms), Joshua Paxton, George Winston (who helped to get Junco Partner reissued), and Davell Crawford. Booker’s personal problems with heroin, cocaine, and alcohol abuse hindered his professional and personal life, and led to his early death on November 8, 1983, in the emergency waiting room of New Orleans’s Charity Hospital. In a city known for elaborate funerals for its musicians, Booker’s service was sparsely attended. He was buried at a family plot at Providence Memorial Park in Metairie. Booker’s legend has grown since his death, and his work—which still captivates listeners—encompasses the triumph of sublime musical virtuosity amid an often tragic existence. 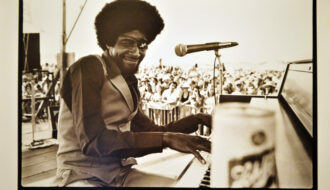 McDermott, Tom "James Booker." In https://64parishes.org Encyclopedia of Louisiana, edited by David Johnson. Louisiana Endowment for the Humanities, 2010–. Article published June 21, 2013. https://64parishes.org/entry/james-booker. Hannusch, Jeff. I Hear You Knockin’: The Story of New Orleans Rhythm and Blues. Ville Platte, LA: Swallow Publications, 1985. Bayou Maharajah: The Life and Music of James Carroll Booker, 3rd.